In both Glencoe and Winnetka, the Grand Food Center has a long tradition of serving the community. Our Winnetka store began in the early seventies as an A&P store. Today, the Grand Food Center is one of the last standing of the originally designed A&P stores! Many Glencoe residents know our store as the former Dee Jay Foods, built in 1953: first as the National Tea Store, and then later renamed Dee Jay Foods by the owners, Dave and Jim. One of the current owners is Daniel J. Klebba, so the store's name continues to reflect the initials of its ownership. As on premise owners, we listen carefully to our customers to be sure to exceed your expectations (see our guarantee below). 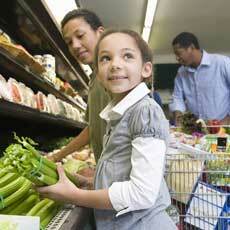 We are proud to be Winnetka and Glencoe's neighborhood supermarket, where our family serves your family every day.